After switching to new theme in WordPress if you have old posts you will need to regenerate thumbnails and image sizes to get the new look as advertised. You will probably notice that old post images like thumbnails next to the excerpt of the post ugly and distorted and go to Settings -> Media and change the values of your image sizes but it will NOT WORK, you need to regenerate your thumbnails and image sizes so your website will look nice as beautiful as you’ve seen it on the demo link of your new theme. WordPress by default creates multiple images with the image sizes from your Media settings when you upload a image, so when you switch to a new theme all the new uploaded images will be with the new sizes, but the images from your old posts will be with the old sizes and your website will not look as you wanted. 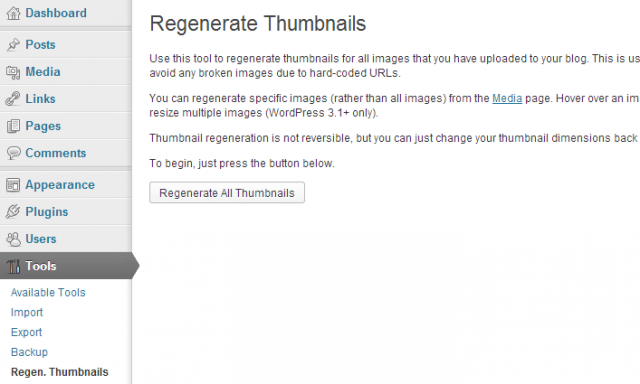 To accomplish this there is a plugin called Regenerate Thumbnails which will help you regenerate thumbnails and all the image sizes defined in your Media settings and all your custom image sizes by your WordPress Theme. Or you can do individual regeneration of images from Media -> Library by clicking on the Regenerate Thumbnails link. 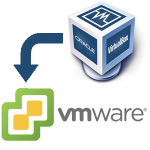 By using this plugin you will not effect old image sizes, they will not be deleted. This will only generate images with the sizes specified in your Media settings and all the custom Image Sizes that your new theme has specified. After you check that you are not using those sizes anymore and your new theme looks as the demo you’ve seen, you can manually delete those images from your upload directory. I hope this will helps you to easy change your WordPress Theme and get the look you wanted.